It’s Canal Drawdown Week in Turners Falls! How many shopping carts lurk beneath those waters? Our ace correspondent finds out. Also in Turners, the long-awaited skatepark slowly takes shape. 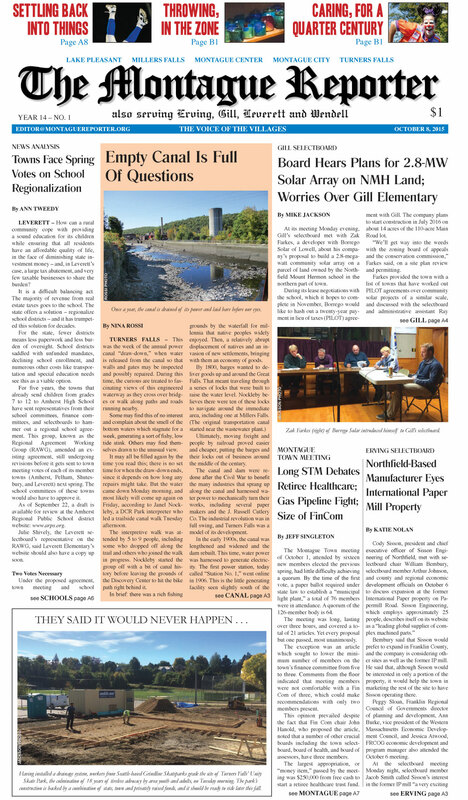 Plus, a rundown of selectboard activity from Erving, Gill, and Montague; a ‪#‎TBT‬ from 2003, when Montague City Road flooded just as much as it does now; and special town meeting coverage from Erving and Montague. We’ve got news from the Montague Common Hall and a call for volunteers at North Leverett’s Village Meeting House. TF football bounces back and trounces Ludlow. 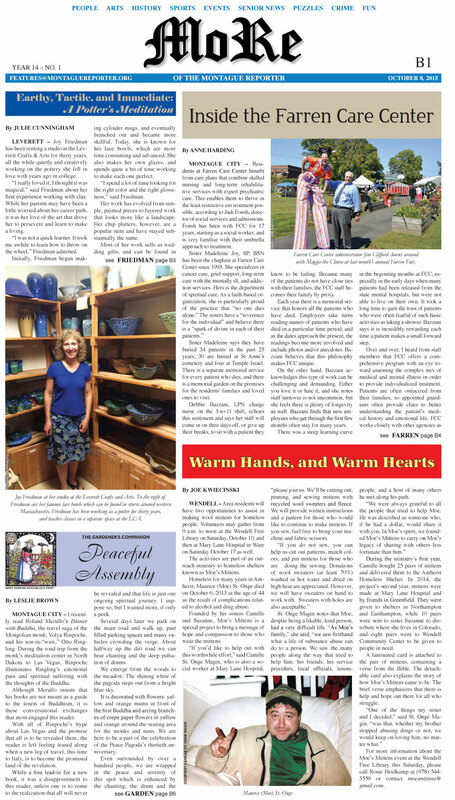 MoRe: A potter’s meditation; a look inside the Farren Care Center; warming hands and hearts in Wendell; the Gardener’s Companion visits the Peace Pagoda, puts food by, and prepares for winter; the Healthy Geezer takes on cholesterol; the Pet of the Week seeks a warm lap; and the Montague Police Log manages to surprise and delight yet again (this week: a report of a floating wildlife corpse).